This blog, Freebies 4 Mom, is a personal blog written and edited by Heather Hernandez of Freebies 4 Mom, LLC and found at http://Freebies4Mom.com. 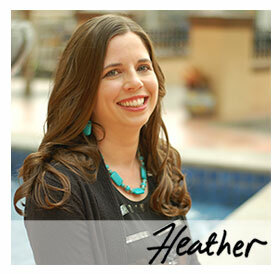 For questions about this blog, please contact Heather. In general, you are responsible for the information you submit when you subscribe to my blog, enter giveaways, participate in a poll or survey, or post a comment. Your comments on posts and profile information can be read by anyone and I discourage you from including your email address or other personally identifying information. I do allow you to post comments as “Anonymous” as a way to help protect your privacy. Cookies are collected by third party vendors, including Google, to serve ads based on a user’s prior visits to Freebies 4 Mom. Google’s use of the DoubleClick DART cookie enables it and its partners to serve ads to the users of Freebies 4 Mom based on their visit to Freebies 4 Mom and/or other sites on the internet. Users may opt out of the use of the DART cookie by visiting the advertising opt-out page. Users may also opt out of the use of some cookies, but not all, at the Network Advertising Initiative opt-out website at www.networkadvertising.org/managing/opt-out.asp.